Welcome to Felix's "Grotto of Miracles". 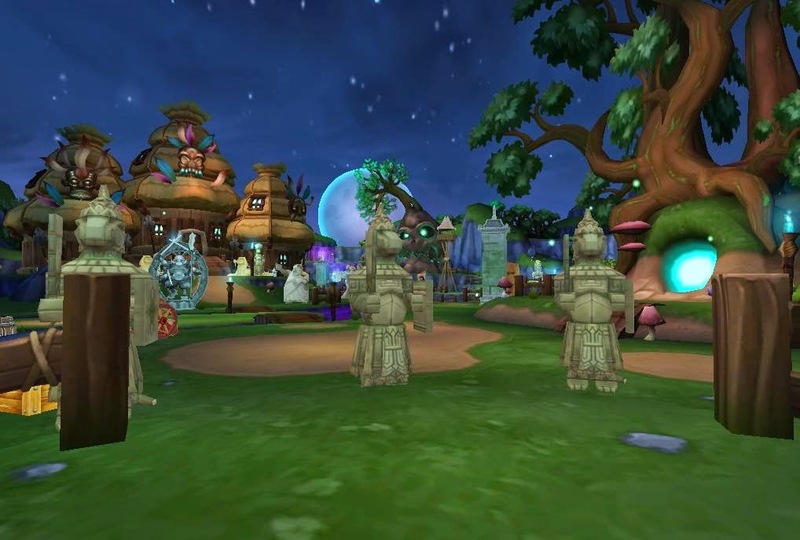 Felix uses his love of statues to create full theme. From the very first time stepping of my ship I was able to see how much Felix cared for his hideout. From dancing statues who show a silhouette of dancers , to crystals placed just in the right places. He even has a little area for his pets. Felix has 2 favorite areas , The Summoning Temple and his Library. I have to agree that Summoning Temple was pretty awesome, so was the library. 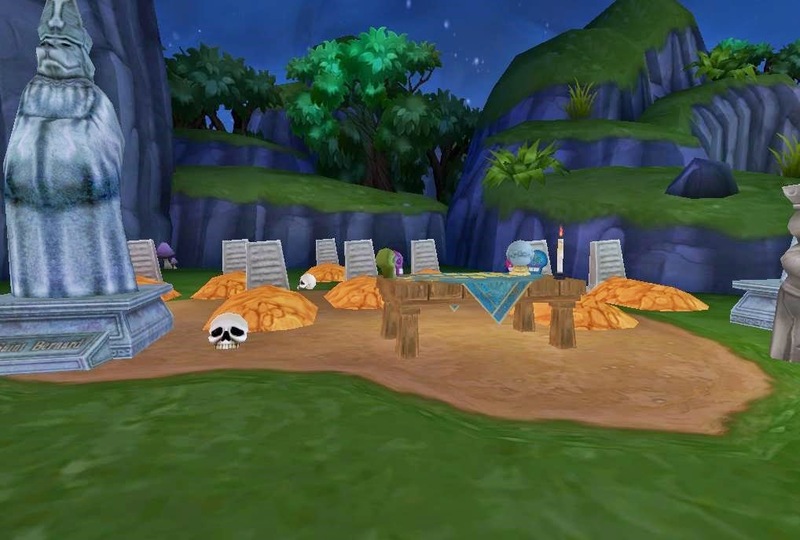 I think my favorite area was the little graveyard he made. Felix had it all , even a fortune tellers table. Thank you Felix for this wonder Pirate hideout tour.